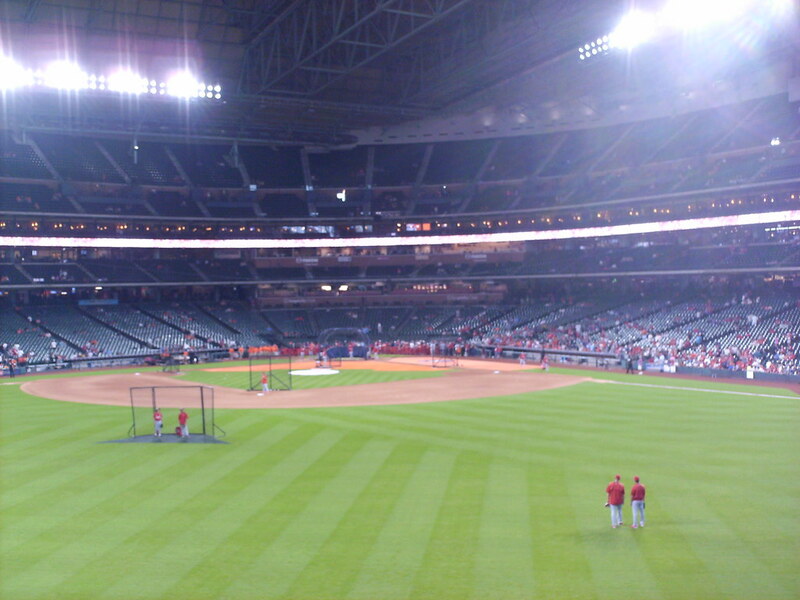 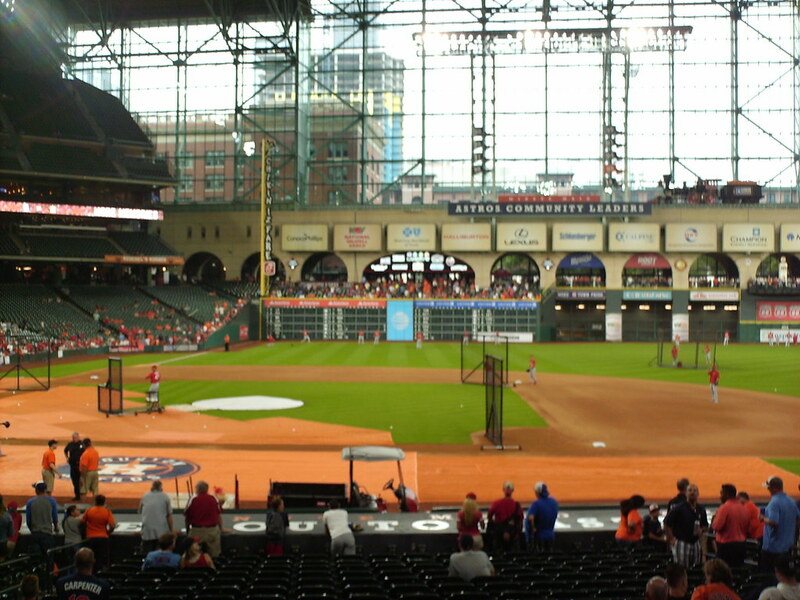 The view from behind home plate during batting practice at Minute Maid Park. 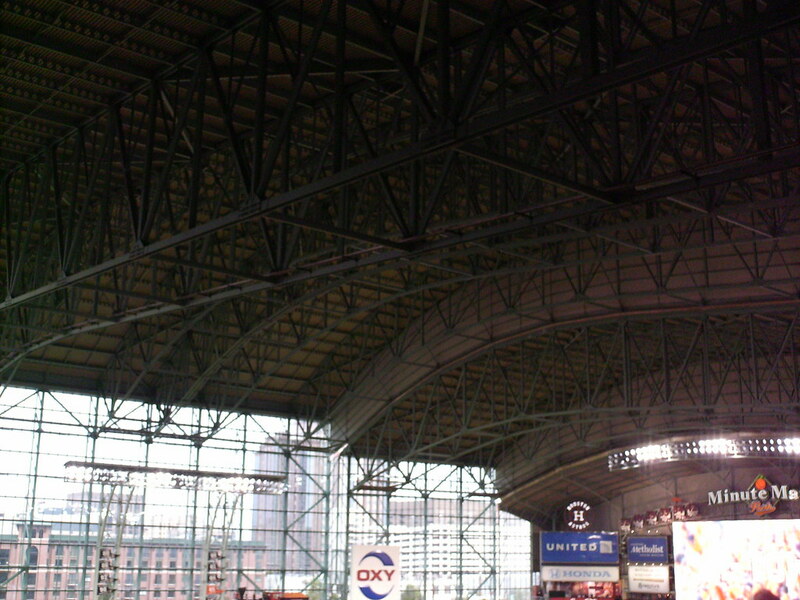 The grandstand at Minute Maid Park, as seen from center field. 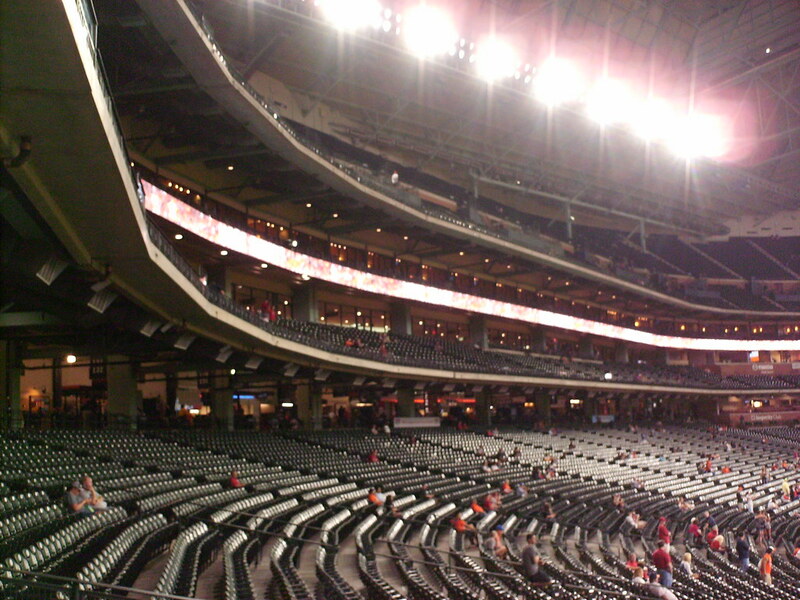 The pressbox sits on the second level behind home plate, with several rows of seats in front of it. 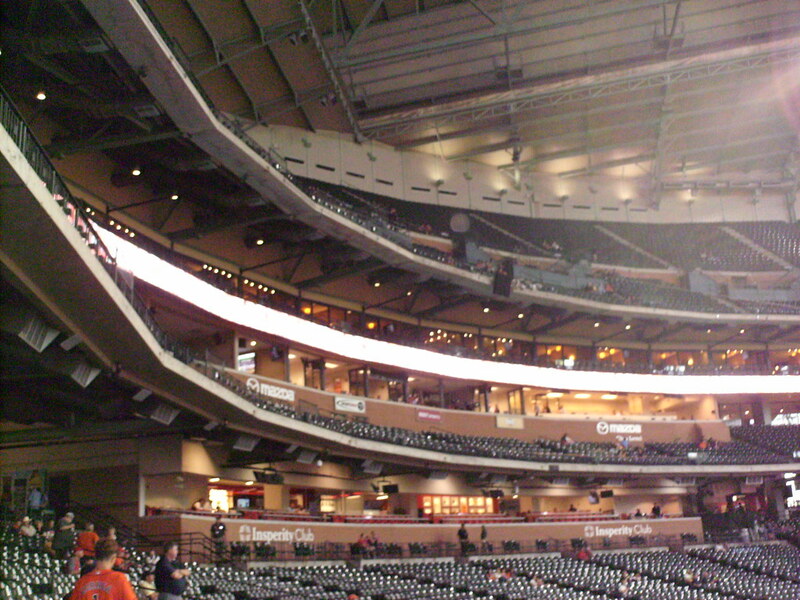 Club seating sits below the pressbox at the top of the main seating bowl. 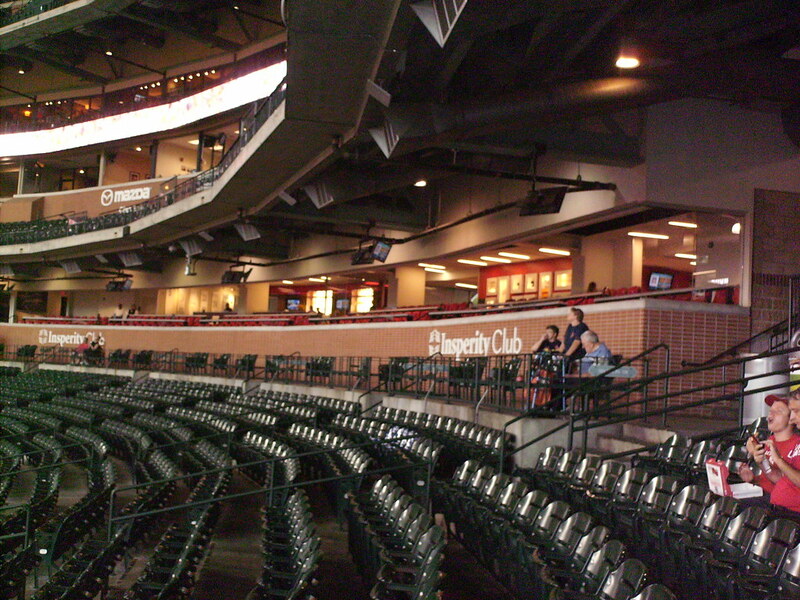 Luxury suites sit on the third level, with club seating below and a split upper deck above. 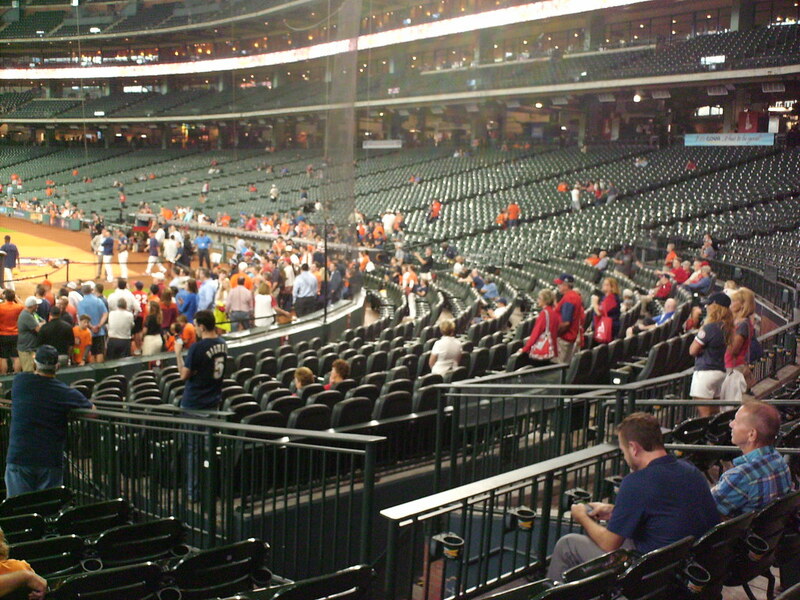 Premium boxed seats directly behind the backstop feature padded seats and extra leg room. 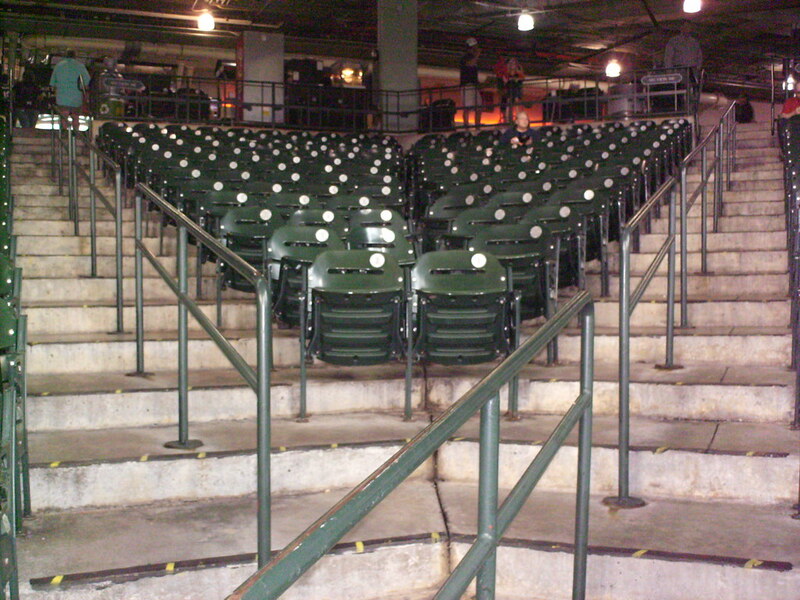 Seating in the right field corner comes together to make a wedge of chairs facing back toward home plate. 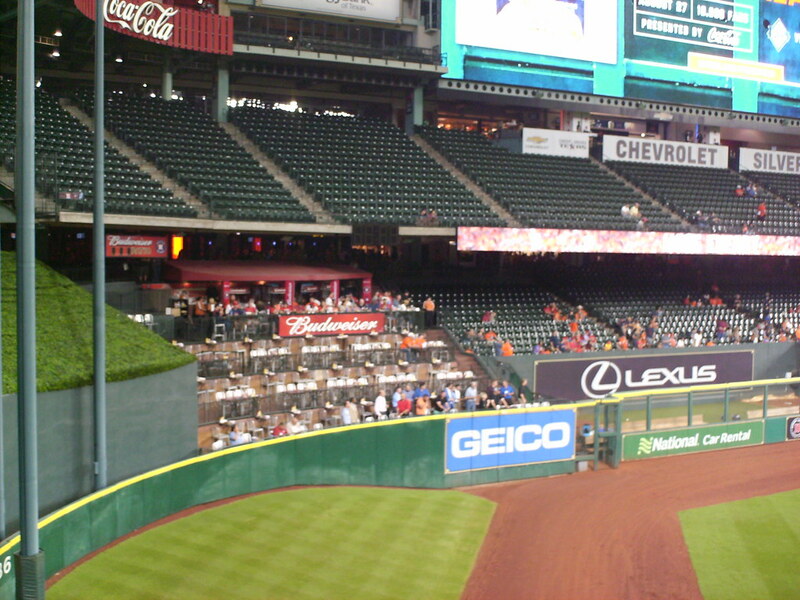 A double decked bleacher section and multi-level party deck sit behind the right field wall. 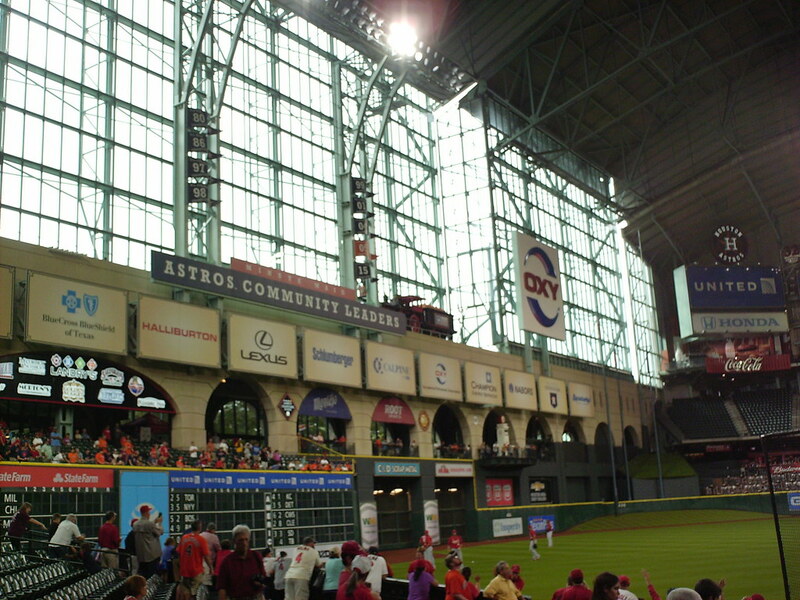 A party porch overhangs the right field bleachers, with Astros retired numbers on the wall above. 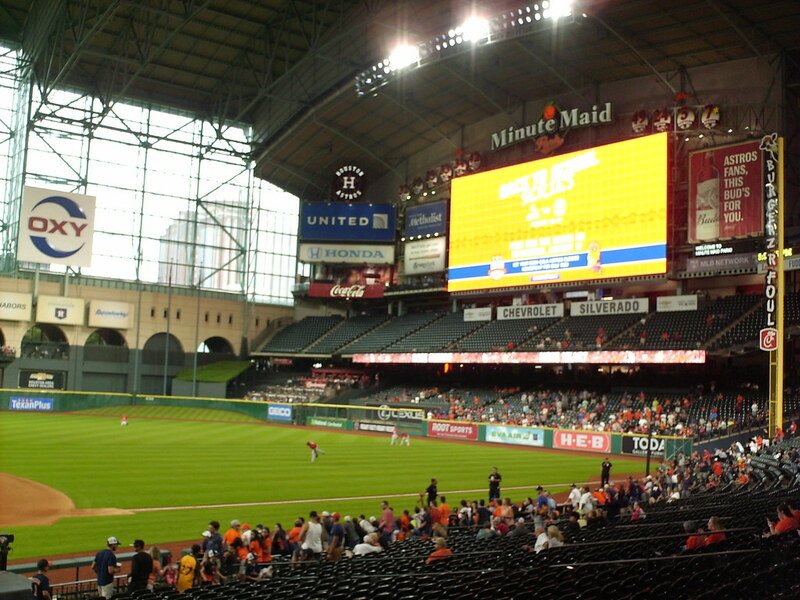 The Crawford Boxes, bleacher seating running along the Crawford Street side of the ballpark, sit above the manual out-of-town scoreboard in left field. 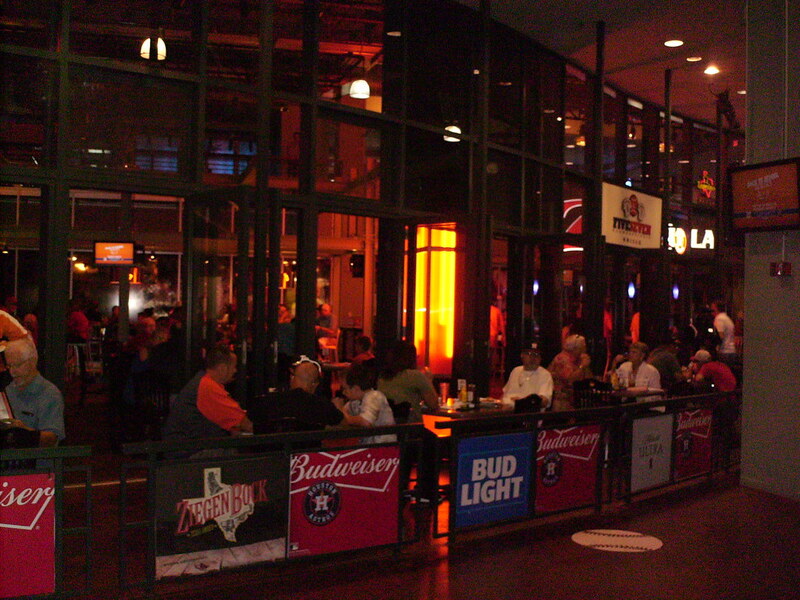 A restaurant sits along the concourse at Minute Maid Park. 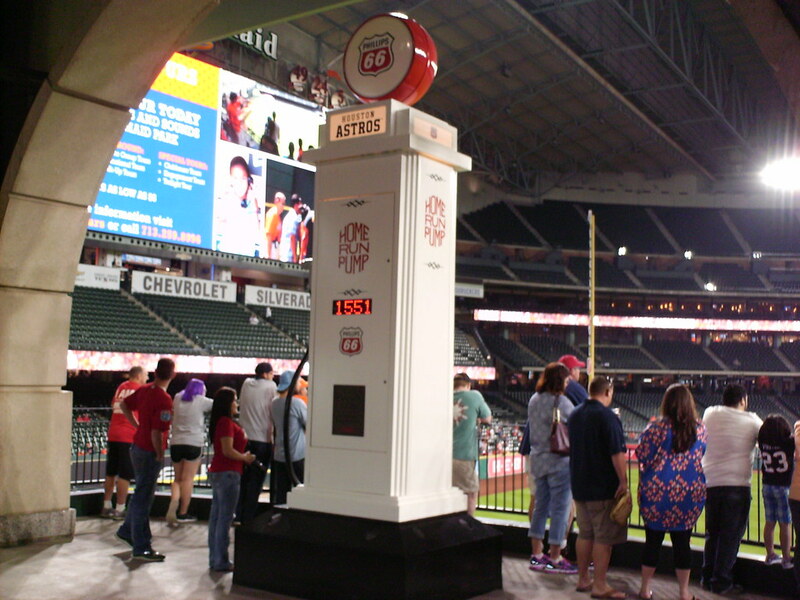 An antique gas pump sits along the outfield concourse and provides a running count of Astros home runs since the park opened in 2000. 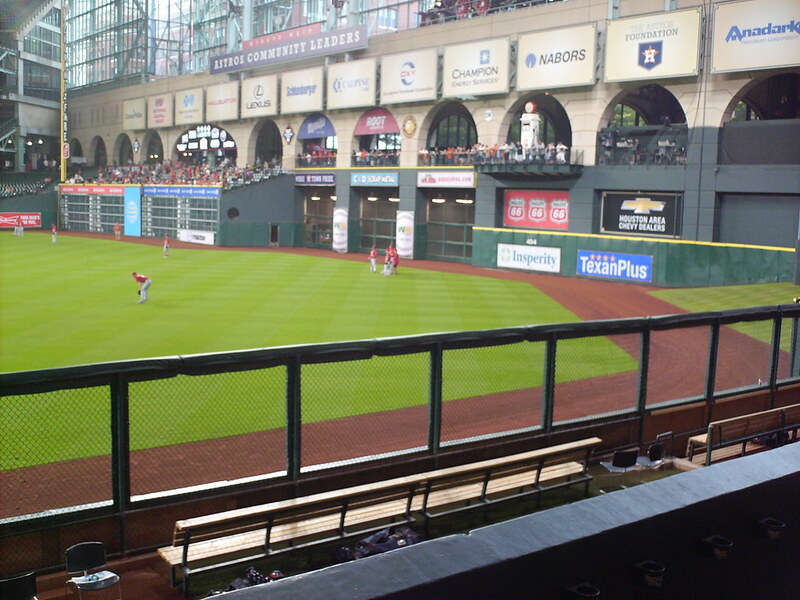 The outfield landing where the gas pump sits extends out over the field of play in left center field. 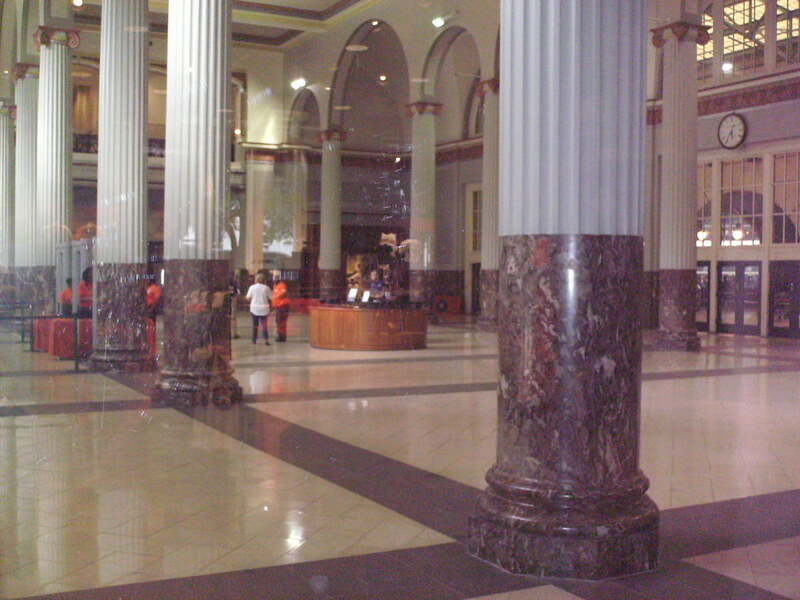 Minute Maid Park was built in downtown Houston at the site of the city's former Union Station, and the train station's lobby was retained as an entrance to the ballpark. 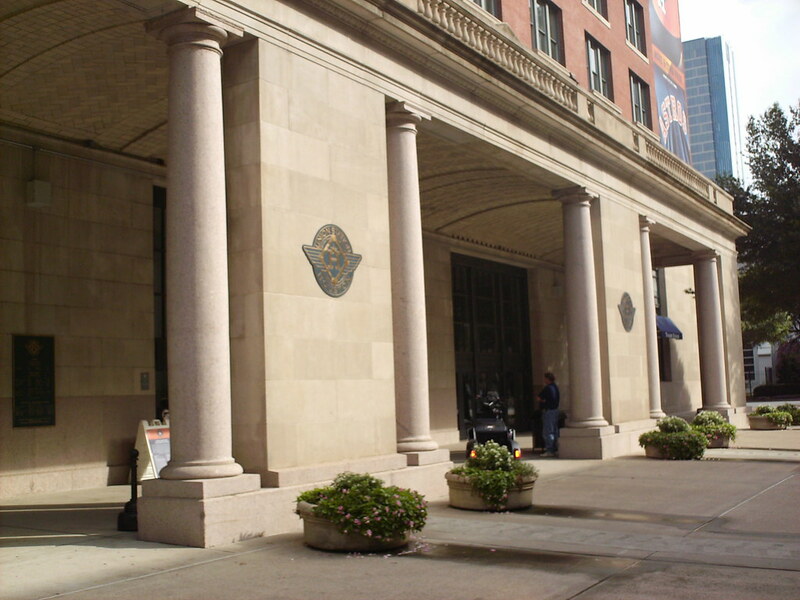 The Union Station entrance to the park on Crawford Street. 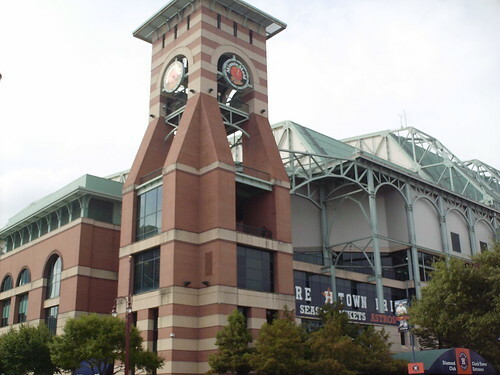 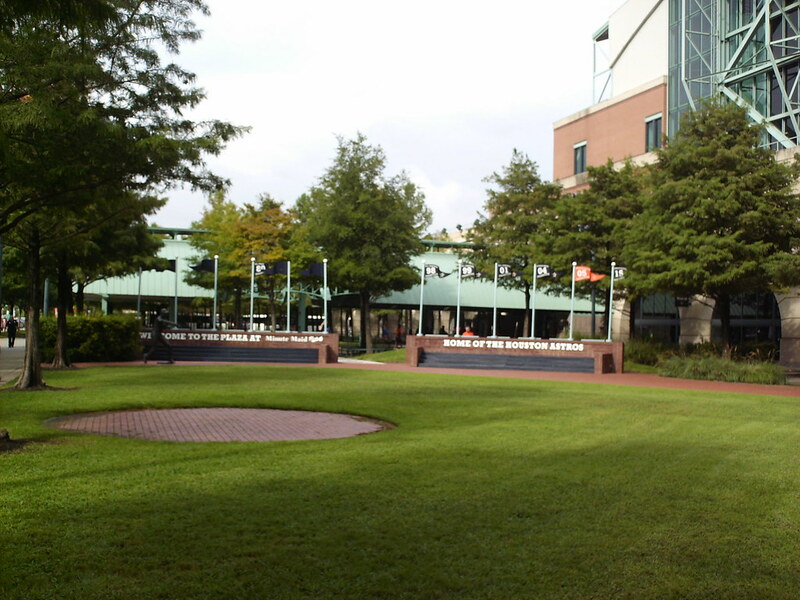 A plaza outside the left field gate provides a meeting place as well as a showcase for the Astros' division and league championship pennants. 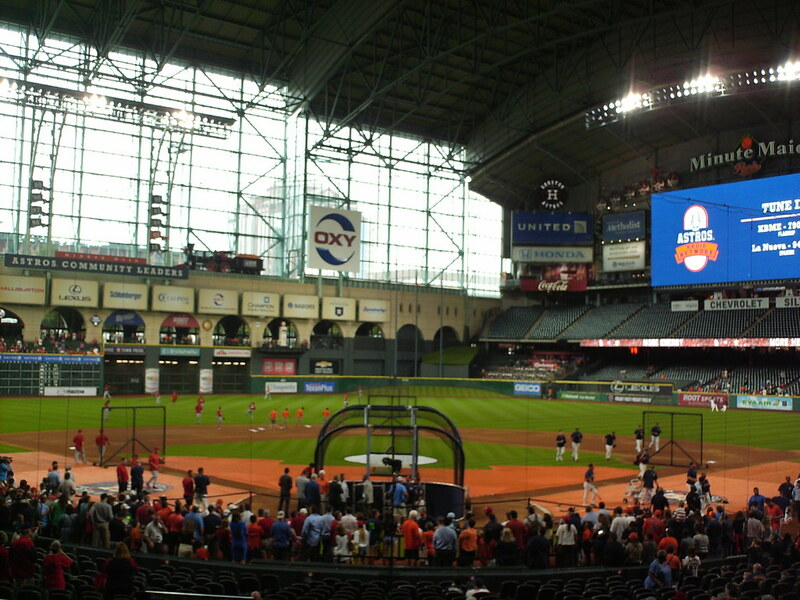 The retractable roof and left field window and Minute Paid Park. 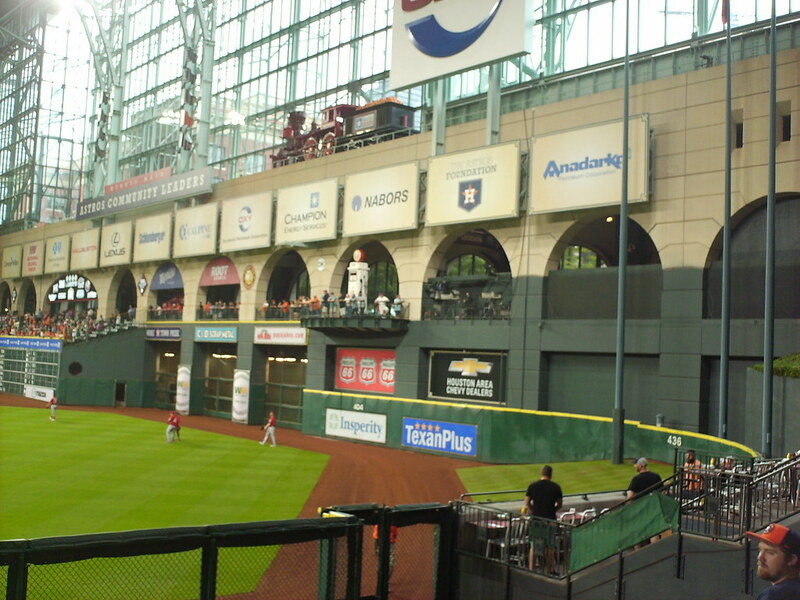 Railroad tracks run across the top of the Union Station building in left field, and a train steams along them every time the Astros hit a home run. 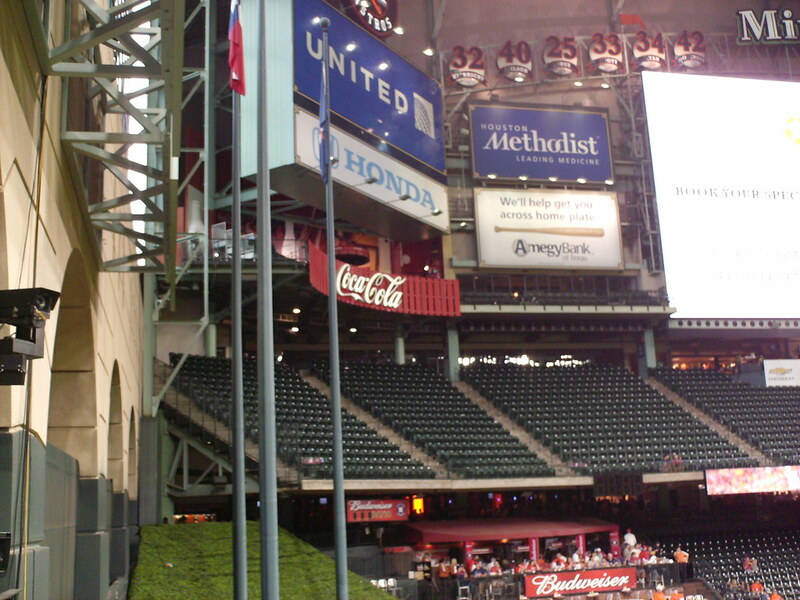 Tal's Hill and a flag pole sit in play in deep center field. 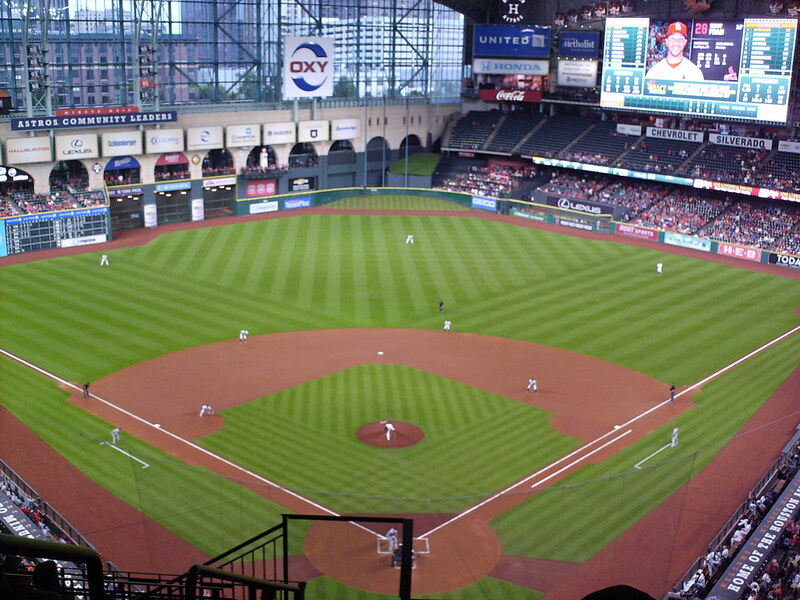 The feature is a throwback to quirky ballpark outfields of the early 20th century. 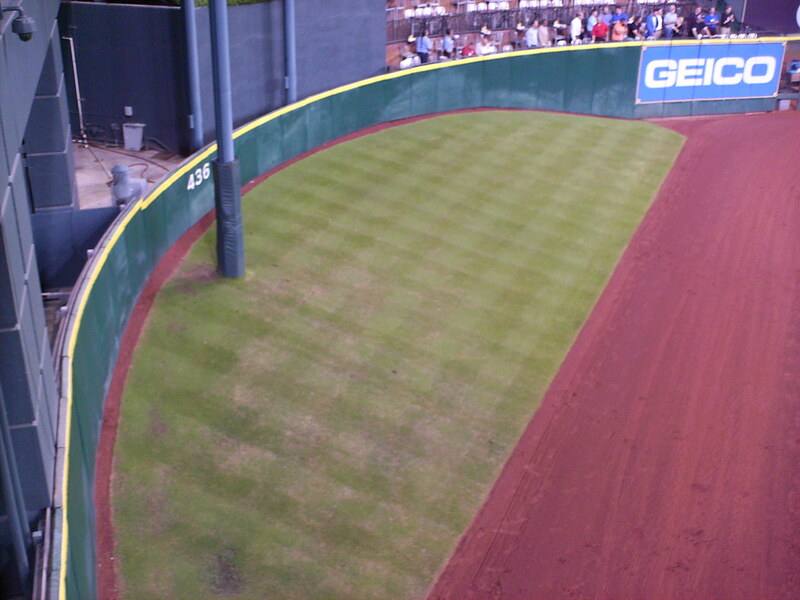 The outfield wall features several alcoves, corners, and changes in height, especially in left field. 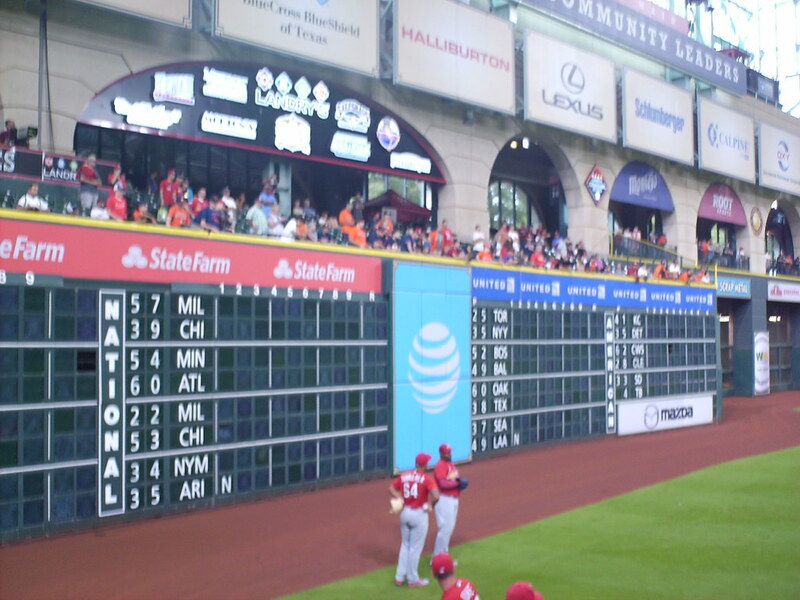 The scoreboard sits above the bleachers in right field. 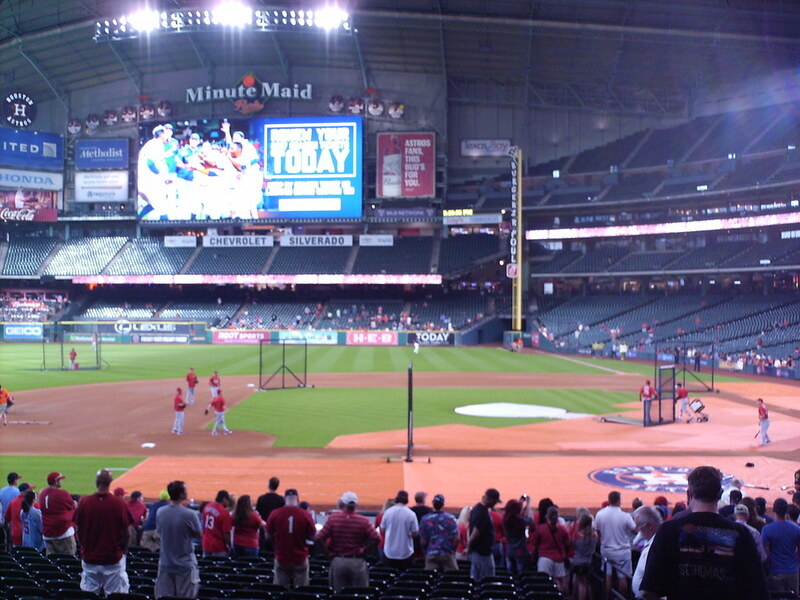 The Houston Astros on the field during a game at Minute Maid Park.